Not to be confused with Canada’s skyscraper-studded metropolis that shares its name, Vancouver Island is the largest of North America’s west-coast islands - stretching almost 310 miles from north to south. We visit this rugged wilderness off the coast of mainland British Columbia and discover plenty to excite outdoorsy types: from ancient rainforests and mighty snow-capped peaks, to superb golf courses and supercool surfing beaches. Life’s better on a bike in Victoria, Canada’s cycling capital that thrills two-wheelers with an extensive and ever-expanding network of trails, rural routes and urban roads with dedicated bike lanes. For casual cyclists and families with young kids in tow, nothing beats the flat 34-mile Galloping Goose Trail that runs west from Victoria to the abandoned mining town of Leechton, and the equally gentle 24-mile Seaside Touring Route that winds past iconic spots such as the Empress Hotel, Royal BC Museum, Emily Carr House, and Beacon Hill Park. For those more tempted to pop a wheelie or two, the Lochside Trail, Saanich Peninsula, and West Shore rewards with more grown-up biking; think off-road challenges, gruelling climbs, and steep descents. 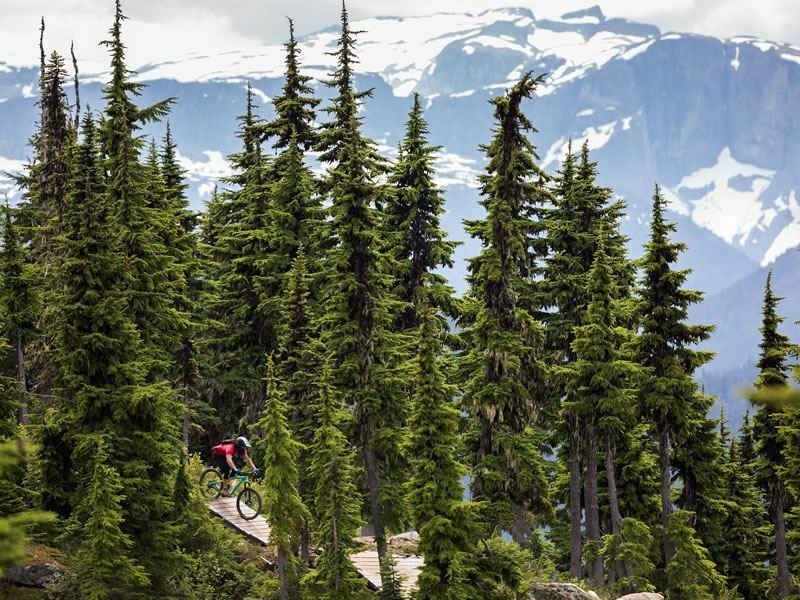 Further thrills for technical riders who are happy to let gravity do much of the work can be found around Hornby Island, Mount Work, and Comox Valley - home to the first stage of the seven-day BC Bike Race (traditionally held in July during the week of Canada Day). WildPlay has nature-based adventure parks throughout British Columbia, Alberta and Ontario - all of which come with a unique combo of ziplines, aerial games, treetop obstacle courses, and giant jumps and swings. 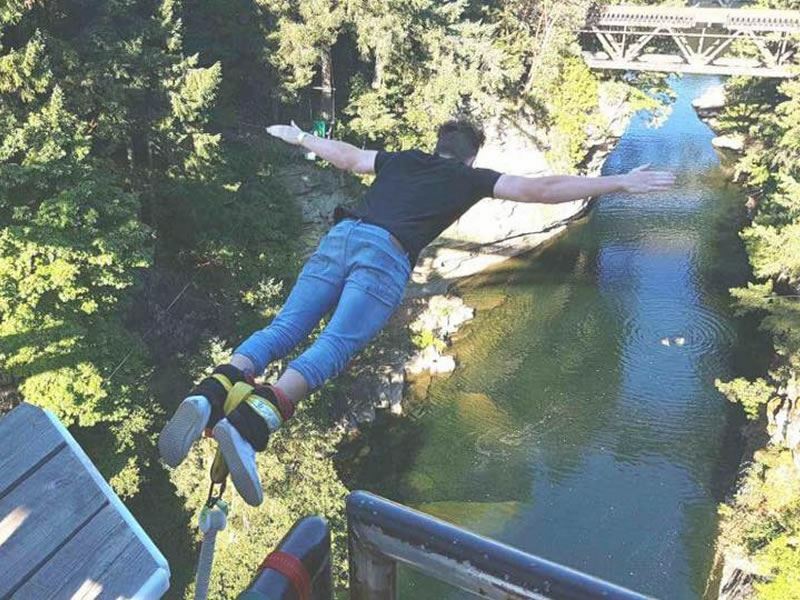 But it’s only the Nanaimo location in Vancouver Island that offers thrillseekers the adrenalin rush that comes from plummeting towards the Nanaimo River with just an elastic rope tied around their ankles. Brave and terrified jumpers can choose from six levels of bungee jump intensity in 16 different jump styles (including the Swan Dive, Corkscrew, Hover Drop, and JumpMaster-selected Big Bobowski) as they take the 150-foot plunge and dive head first from the facility’s huge steel bridge. Available on a first-come-first-served basis, participants must be at least 12 years old and weigh between 95lbs and 400lbs. Those under the age of 19 must also have a parent or guardian sign a waiver. Jumps cost from £80, with any subsequent jumps from £40. Given its mild temperatures and healthy amount of rainfall, Vancouver Island offers no shortage of green and blossoming sanctuaries for fauna- and flora-obsessed folk. Some of the best of the bunch are found in Victoria - British Columbia’s picture-perfect capital (also known the City of Gardens) where the flower-filled formal and heritage grounds are nothing short of spectacular. 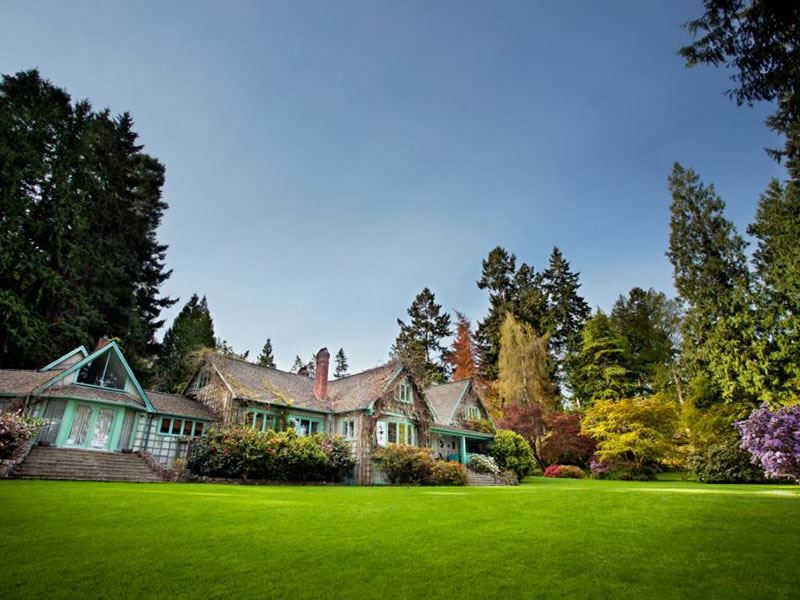 Most green-thumbed visitors make their way to Brentwood Bay’s much-hyped Butchart Gardens - the 55-acre horticultural wonderland that dazzles with stunning annual flower displays, curving manicured lawns, sun-dappled pathways, and a small lake with a dancing fountain that’s illuminated at night. Further must-see spots include Ronning Garden for its unique monkey puzzle tree, Filberg Heritage Lodge & Park for its stately trees, and Milner Gardens & Woodlands for its wild meadows, rare old-growth Douglas firs and cedars, 500 varieties of rhododendrons, and large woodland area that ends on a bluff overlooking the Strait of Georgia. 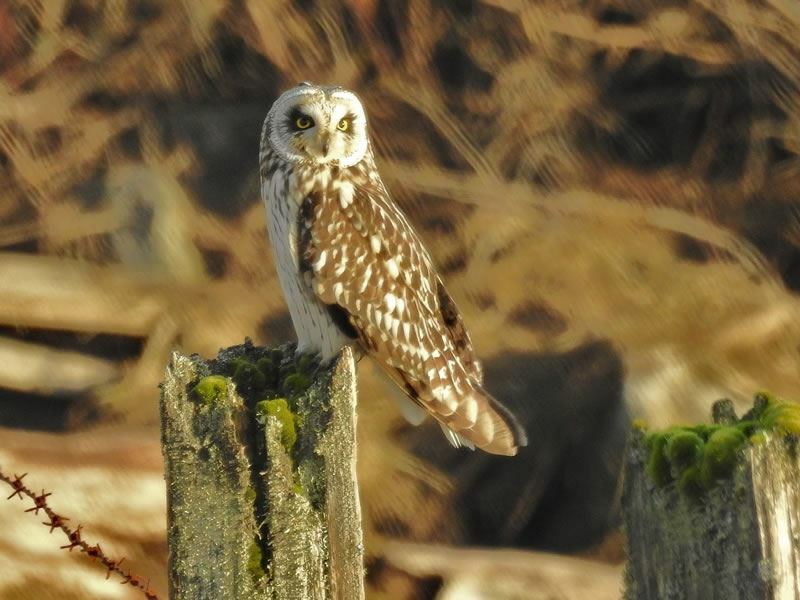 Given that it’s chock-full of brilliant birds year-round, serious watchers and twitchers can expect to see over 220 feathered varieties in Vancouver Island; from bald eagles, brant geese and trumpeter swans swooping over marshes, lakes and rivers, to owls and songbirds flying over the dark forest. Some of the best birding hotspots include Swan Lake in Victoria for great blue herons, pied-billed grebes and other waterfowl, Somenos Marsh Wildlife Refuge in Duncan for Canada geese, black-headed grosbeaks, red-tailed hawks and merlins, and the Courtenay River Estuary for ospreys, eagles, loons, and marine birds. Equally compelling is the forested Goldstream Provincial Park where the bald eagles may be the avian stars (there’s even a video feed and telescopes in the visitor centre for close-ups), but they seem happy to share sky space (and chum, coho, and chinook salmon) with gulls, ravens, Steller's jays, winter wrens, Townsend's warblers, red-breasted sapsuckers, kinglets, and chestnut-backed chickadees. There’s over 40 excellent golf courses in Vancouver Island, but it’s the Golf Trail (a cluster of 12 championship courses laid out along a 155-mile corridor between Victoria and the Campbell River) that gets all the glory. 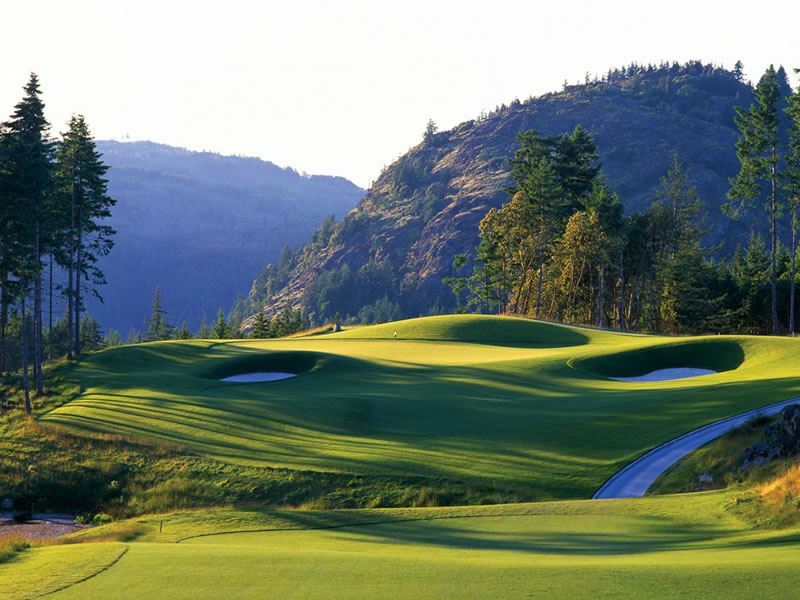 Must-plays along this award-winning route include Bear Mountain for its double-headlining courses (golfers can choose between the rugged Mountain Course and the kinder Jack Nicklaus-designed Valley Course), Olympic View Golf Club for its mountain backdrop and pristine forest punctuated with waterfalls and lakes, and Highland Pacific Golf Course for its significant and challenging changes in course elevation. Other prestigious courses of varying levels of trickiness and toughness include Storey Creek Golf Club for its self-styled “course of nature” (you may spot the occasional black bear ambling across the course), Crown Isle Resort for its Beaufort Mountains and Comox Glacier views, and Fairwinds Community & Resort for its Les Furber-designed course that’s just a swing away from the oceanfront. It’s not hard to see why Vancouver Island’s Pacific waterways, steelhead rivers, and saltwater and freshwater lakes attract adventurous anglers keen to hook a chinook, coho, sockeye, pink, or chum salmon - all of which swim here. Provided you’ve followed the BC government’s rules and regs (licences are required and only barbless hooks are allowed), the fishing thrills come fast and furious from Victoria, up the West Coast, and on to Haida Gwaii. Highlights include the Campbell River (known as Salmon Capital of the World) for pursuing chinooks and possibly earning the privilege of joining the famous Tyee Club if you hook one that weighs 30lbs or larger during Tyee season), and the Cowichan River (known as the Fly Fishing Capital of Canada) for catching rainbow, brown trout, rock cod, and winter steelhead. Other fish-rich waters include Port Hardy, Port McNeill and Alert Bay (more salmon), Pacific Rim (lingcod and halibut), Stamp River (steelhead), and Salt Spring Island (smallmouth bass, cutthroat, and rainbow trout). 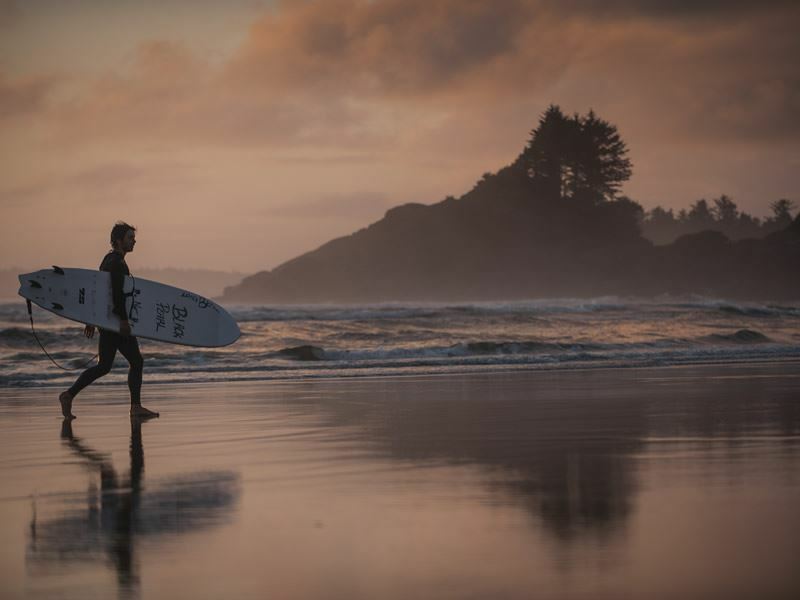 For nail-biting newbies and seasoned long-boarders heading to Vancouver Island’s wonderful west, nothing ticks the paradise boxes like the surfer’s playground of Tofino - the once-sleepy fishing village and hippie enclave located at the southern end of Clayoquot Sound. Complete with a 22-mile rugged coastline that attracts thousands of eager surfers every year, there’s dramatic rolling waves aplenty, strong rip currents, waters that consistently stay at a cool 10°F, and a slew of good-looking sandy beaches (Cox Bay, MacKenzie Beach, Chesterman Beach, Long Beach) that never feel over-crowded. The self-proclaimed Surf Capital of Canada is also heavy on surf shops, rental outfits, surf schools, and trendy eateries for those who have little or no interest in the sizing of breaks and swells. In fact, all that’s missing in this pristine slice of wilderness is a tropical climate. But given that Tofino’s temperature doesn’t fluctuate much, the surfing action during the stormy winter months is as mind-blowing as in the summer. Few things are more precious to Vancouver Island folk than a good park for fresh air, blue skies, and the freedom to roam. There’s Pacific Rim National Park Reserve for its raw wilderness and hike-worthy West Coast Trail, Cape Scott Provincial Park for its miles of lush rainforest, rugged coastline and tree-backed beaches, and Macmillan Provincial Park for its well-marked network of trails that wind through an ancient Douglas fir ecosystem. 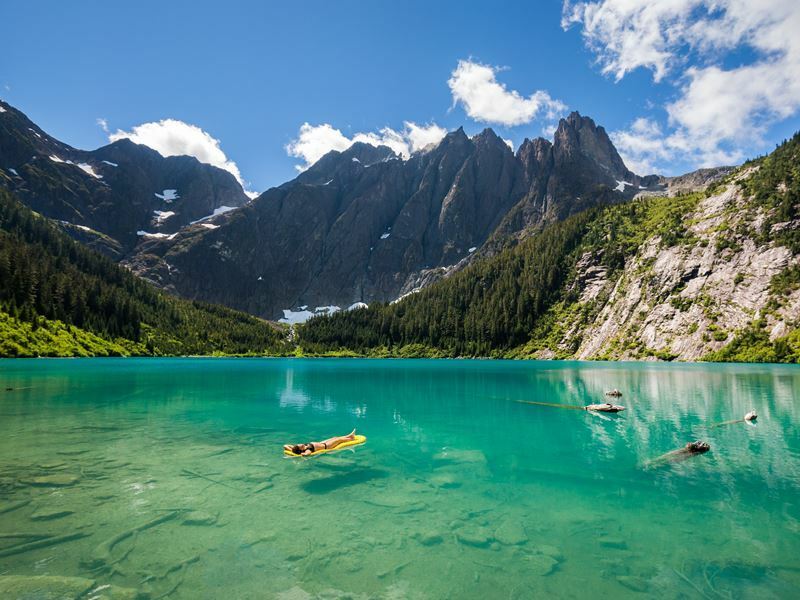 Also standout is Newcastle Island Marine Provincial Park for hiking and biking trails, Tribune Bay Provincial Park for dazzling white sands and aquamarine swimming waters, and Rathtrevor Beach Provincial Park for forest-clad walking trails and easy ocean access. For those who’d rather slow down the pace a bit, the triangular-shaped Strathcona Provincial Park may be huge (it practically spans the entire width of Vancouver Island) but it seals the deal for those who want to take gentle walks or simply while away the hours gazing at a landscape laced with alpine meadows, waterfalls, and glacial lakes. Whether you’re looking for a saddle-friendly trot along secluded tracks or a confident canter across the wilderness, there’s a horseriding experience to suit every energy level and budget. 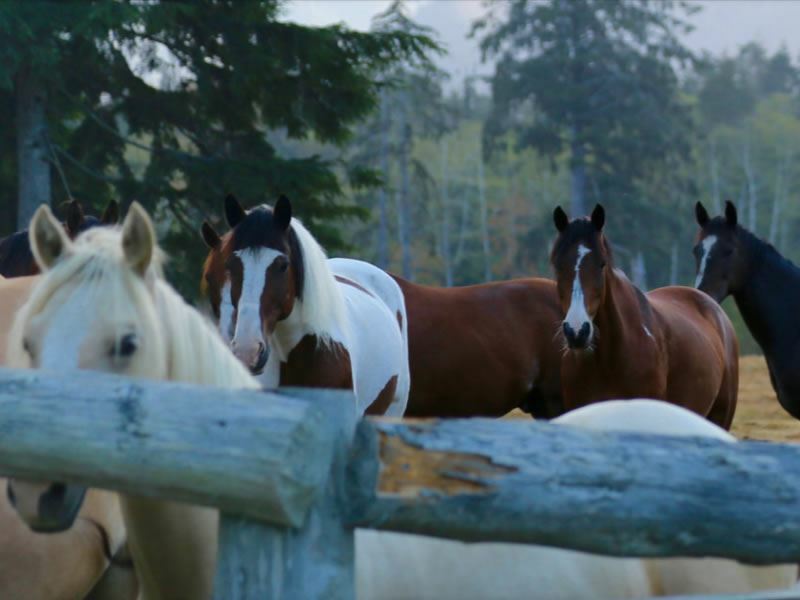 Most make a beeline for Comox Valley on the east of Vancouver Island for full-day or half-day jaunts along forested trails and alpine meadows, but the delightful Cowichan Valley region is also popular for equestrian adventures and overnight excursions at countryside ranches and riding stables. 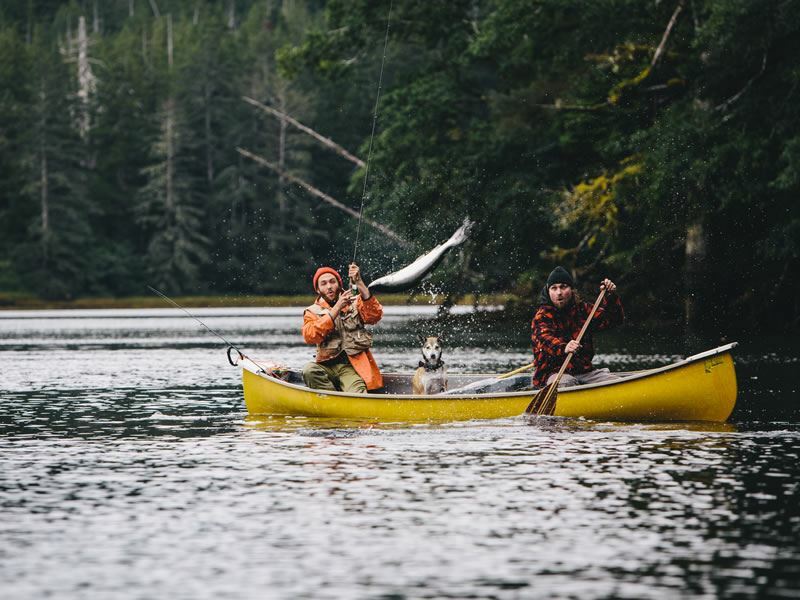 Equally tempting is the safari-style Clayoquot Wilderness Resort - the glamper’s go-to retreat located within the UNESCO-designated Clayoquot Sound Biosphere Reserve, just a 30-minute boat ride from Tofino. Surrounded by rainforest at the mouth of the Bedwell River, it comes with 20 white-canvas luxury guest tents (some with en-suite bathrooms), a gourmet restaurant, a small spa, and an impressive activity menu that includes horseriding, bear-watching, canoeing, kayaking, mountain biking, and fishing. Given it’s a region of coastlines, it comes as no surprise that Vancouver Island’s waterways are home to some of the world’s most powerful predators. Blackney Pass, Johnstone Strait and Queen Charlotte Strait are all prime whale-watching territory (both humpback whales and orcas are found here), but organised boat trips in Tofino, Ucluelet, Telegraph Cove, Alert Bay, Port McNeill, Campbell River, Victoria, the southern Gulf Islands, and even Vancouver, will all bring you into contact with these (usually) gentle giants. Tours mostly operate from May to November and can be booked on a variety of boats, including fully-equipped passenger cruisers, luxurious sailboats, open-air zodiacs, seaplanes, and catamarans. 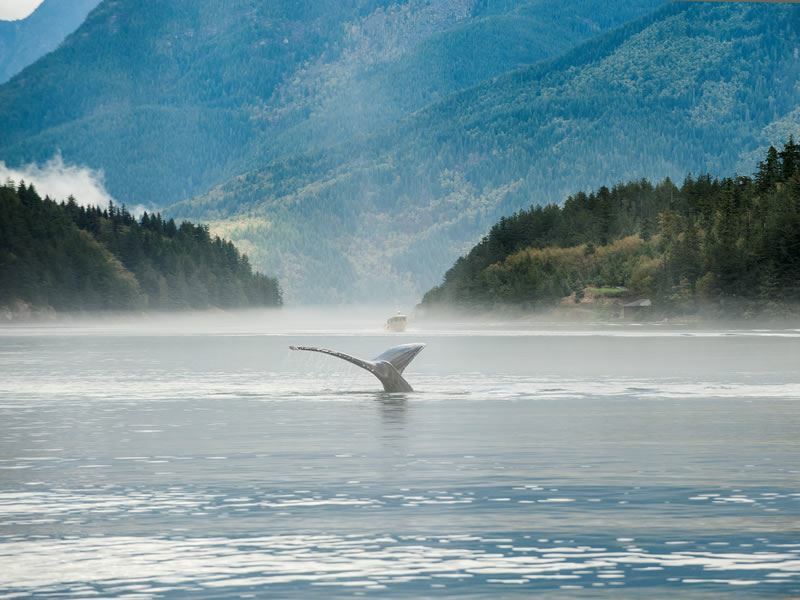 And then, of course, there’s sea kayak tours for the very brave - many of whom combine the thrill of spotting whales in sheltered and moving water passages with beach rambles, rainforest hikes, and wilderness camping.